The company was established in 2007. Directors observed that the majority of pawnshops were located in areas of town that were less than appealing to potential customers to take their families. Many of the shops did not appear to be well-kept or organized either; so when management decided to embark upon their new money lending enterprise they decided to ensure that they were a cut above the rest by doing the opposite of all those before them. Therefore, we bring you: Mr Money! When you walk into Mr Money you are entering an upscale shop. 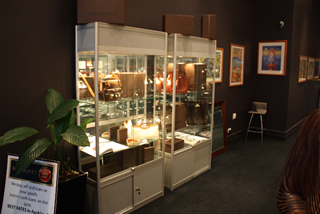 Step inside our comfortable CBD store and those passing by will not be aware that you are actually in an upmarket pawn shop. Meetings with our clients can be made by appointment or simply by going in and talking to one of our friendly staff. We purchase and make loans on jewellery, collectibles, art and antiques and many other items of value.